I am clapping in glee. Compiling any collection with the title “Best of” is never an easy task, the category is just too subjective, particularly in something like the arts and a short story collection. 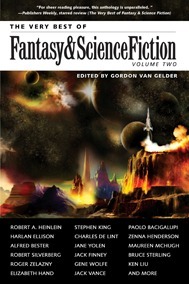 Though delving only into the pages of one literary magazine, The Magazine of Fantasy & Science Fiction (F&SF), the breadth of stories falling within the genre confines of its pages is huge. Compared to something like “The Best American” series, which F&SF has appeared within, the tales and writing styles here are far more diverse, but just as mighty. The difficulty in really having a definitive, all-encompassing, all-pleasing ‘best of’ collection has in the past simply led me to avoid reading short story anthologies. I already read the new stories that come out, and after a while isn’t that sufficient? If you’ve been reading these longer than I (and most fans have) there’s probably even less new or unfamiliar out there. Thinking it wasn’t really worth it, I remember simply ignoring the first volume compiled by current F&SF editor Van Gelder. But since then I’ve come to develop an appreciation for these anthologies, even when they aren’t full of stories I would consider to be ‘the best’, or even if there are a few in there which I don’t particularly enjoy. I’ve discovered there are other reasons to read a “Best of” collection despite that term not aligning with my personal opinions. First, as alluded to within the intro to this volume, the stories here are all notable in the history of the genre, and the authors are ones any interested fan should have some experience reading. It simply is a matter of education. This collection gives an excellent survey across the decades of F&SF publication with tales that have largely withstood the test of time, right up to modern classics that sent ripples of wonder through the reading community upon their publication (like Ken Liu’s beautiful story here). There are so many authors whose names I know, but I have never read. I have a hard enough time reading interesting new things to also go back and read all the range of classics. Now, at least I can check a few more classic authors off my list – or perhaps more honestly add them to my list of things to read more of ASAP. Second, this sort of “Best of” collection gives new readers the opportunity to discover that wide breadth of the fantasy and science (speculative) fiction genres, experiencing notable stories that vary from hard SF, to humor, to high fantasy, to urban fantasy, to dark horror, to genre mashups, etc. You don’t have to like everything. But if you like to read in general, you’ll probably find appreciation for most of the stories here. Because all of the stories here are most certainly notable, even if not ‘the best’. They show to all readers, both new initiates or seasoned veterans who are re-experiencing, what a well-crafted story can look like in its myriad forms. With the chronological presentation through the decades of F&SF publication, the collection also gives glimpses into the changing styles or motifs of eras, and demonstrates just how greatly the earliest stories in the genre continue to inspire and shape current writing. At least four of the stories here I have read before (and “Echo” I am about to read again in another collection of Elizabeth Hand’s work). Three of those four I recall liking greatly, but Stephen King’s story I had no particular memory of, other than that I had read it. I wondered if its inclusion (and King’s) was simply due to the celebrity of his name, to attract more readers. When I first came to F&SF, the knowledge that King, as a popular author I knew, had published works in its pages was a huge draw to trying it out. So I wouldn’t blame the editor for putting King in for that primary reason. Perhaps it is the wisdom of experience from a few scant years, but I was pleasantly surprised to be so affected by his story here, to read something far more resonant and profound than I had expected based on a memory (or lack thereof). This just goes to show how re-reading notable stories – even if from the opinion of someone else – is beneficial. It’s been awhile since I’ve read King, but this made me wish he’d continue getting inspiration for short fiction writing – and publication in markets like F&SF. The other stories here that were new to me I responded to much as what I would expect from a typical stellar issue of F&SF: many excellent, a few enjoyable but throwaway, and a couple that just weren’t my thing. You may react differently to individual stories here than I, but I suspect that if you are a fan of the genre, then you’ll also enjoy a similar high percentage of these. If you happen to be rather new to the genres, have never read the magazine, or are just a casual reader who only recognizes Stephen King in the table of contents, give this collection a try and discover what literary universe is out there for you to enjoy and explore further. I received a free electronic advanced reading copy of this from the publisher via NetGalley in exchange for an honest review. In this inspirational essay that blends nature appreciation, travel, and environmental activism, Bill McKibben structures his ruminations around a walking journey he undertook from his present-day home in Vermont as professor at Middlebury College to his former home across the lake in the New York Adirondacks. Wandering is an apt word to describe the essay, for it is not primarily about details of the actual journey, nor is it particularly about the natural features of the two neighboring regions. 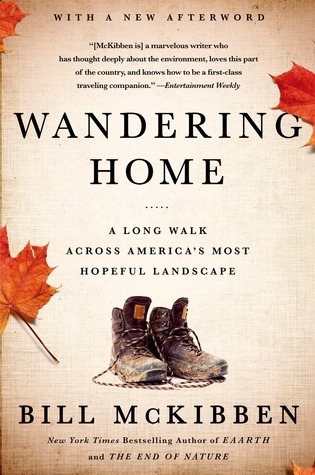 While both of these topics are given voice, the walking trek and its environment are really just a narrative backdrop to symbolically contain McKibben’s wandering thoughts and anecdotes. These anecdotes primarily take the form of recounted encounters with other people along McKibben’s route who embody a sort of spirit or cause that he meditates upon, as in the style of a sermon. 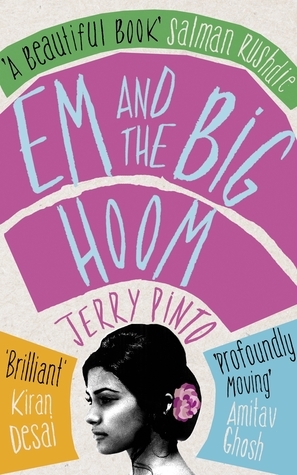 Personally I would have enjoyed this more if there had been greater structure to it, if there had been fuller details on the journey and the environment, or a deeper probing of the ecological, social, and political themes that the anecdotes touch upon. However, I acknowledge that isn’t what this work is meant to be, and the brief read that this essay provides is certainly inspirational. Thus, for those who do appreciate this kind of book and have a striking love of nature or environmental activism, you will enjoy it. While I found Wandering Home to be too cursory overall, I certainly did also find moments of intense beauty and inspiration within it. McKibben’s writing is impassioned and poetic. The passages where he is detailing the environmental qualities of each region are evocative and rich. The meditative quality of the text and its wandering nature probably make this the type of book that isn’t best read in one sitting as I did, or even in the same span of general time. This is more like a resource that could be dipped into during precious reflective times, or a during a moment’s anticipation of going on a similar hike or journey. If nothing else, Wandering Home serves as a fine, gentle reminder that other types of existence – closer to nature – are possible than the one we may be accustomed with, and perhaps we could each find ways to seek and embrace some aspect of these alternatives. I received a free copy of this from the publisher via Goodreads’ First-reads giveaway program, in exchange for an honest review. Are you still friends with the people you grew up with? Those whom you were inseparable through elementary school? High school? Is your current life where you planned for it to be when you entered into college? Or graduated? Is it even heading in the direction you originally planned? Is your life what your ancestors imagined would come from their struggles and success? Are you building a life and family, looking at your own children or grandchildren and hoping for what type of future life they will have? Despite all we put of ourselves into relationships, could everything turn out terribly different from what we desire? These are the types of questions explored by Dugan in the short collection of chronological stories. Connected one-to-the-next with shared characters, the collection as a whole spans across a few generations and families to reveal the broad effects of the passage of time and changing circumstances on individuals and relationships. So Much a Part of You is not a reading experience where you follow a protagonist through an exciting plot and get to live vicariously through the adventures and how much you ‘like’ the character. This is a literary collection, about matters more general, and deeper. The situations in the stories of this collection may include tragedies or condition you’ve never experienced, from physical accidents, to alcoholism, to one-night-stands, or an abortion. The characters may make choices that you have never faced, or think you would never make. What is relatable, what is emotionally resonant and evokes reflection is the general effect these situations and choices have on the characters in the stories and that the reader can then apply to their own personal life. For we have all faced rough situations and tragedy. We have all made choices, good and bad. So too with the characters in So Much a Part of You. None of them end up where they may have expected. In some cases this is unfortunate, and in others it becomes clear that a new and better relationship has opened up in their life, that they would never have foreseen, but which for that particular time and place is exactly what they need, and dearly precious. 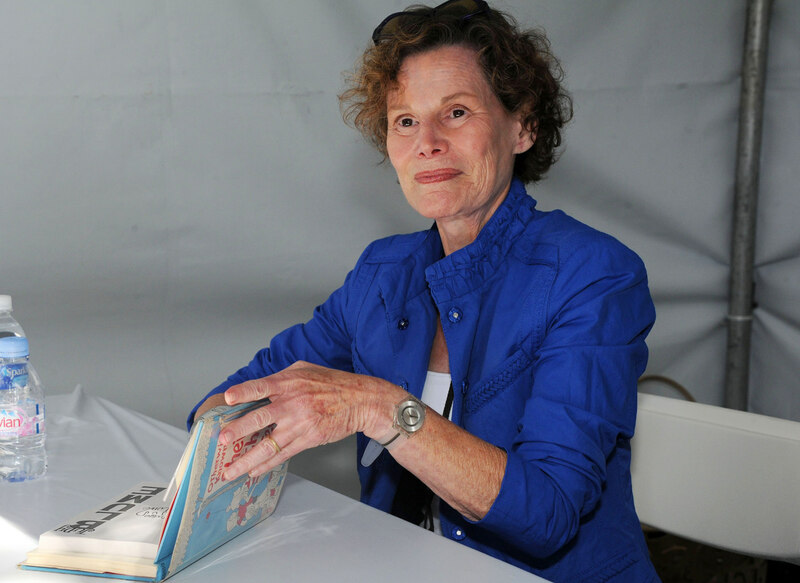 With the connected format of the collection, readers are able to see some characters from different perspectives and periods, creating a complexity that would be harder to obtain from a single short story. Dugan’s writing is fluid and conversational, making this a relatively quick read. The overall emotional reflection it could engender will last longer. I received a free advanced reading copy of this from the publisher through the Goodreads’ First-reads giveaway program. True to its title, Law of Desire is a collection of short stories revolving around the condition of desire. The inclusion of the word ‘law’ implies the controlling influence that desire has over the characters and situations in the stories. Desire is something beyond control, immutable and compulsory. The type of desire explored in each story varies from the physical to the abstract and the stories themselves vary from short, surreal vignettes to more nuanced and longer explorations of character. The longer stories tend to have distinct plots rather than simply prose that conveys a state of being, and I found I appreciated these the most. Among these, “Electric Guitar” is perhaps the most powerful, a ‘gut-wrenching’ subtle story of abuse that extends beyond a simple meditation on the collection’s theme. However, “What We Talk About” is the leading, and most effective story in the collection. Here, a man meets a fascinating, but mysterious woman and the two have a rapid connection. The desire between the two (particularly from the point of view of the male protagonist) is palpable, but extends beyond mere sexual desire or even a desire for friendship. The two dance those steps of relationship that balance sharing and keeping secrets, where the man becomes compelled to discover the exact nature of the woman’s job which involves clients paying to talk to her on the phone. These interactions reveal the corollary to the desire featured in all these stories, and that is ‘dissatisfaction’, a state of being that almost by definition must be present in order for engendering desire. The characters in Blatnik’s stories all exhibit some degree of intense dissatisfaction, sometimes internal, or sometime coming from external factors. Either way, this dissatisfaction ultimately arises from that theme that generally characterizes modern ‘literature’: a failure to communicate. Thus, Blatnik’s stories all focus on some part of a circular chain that defines humanity. Failures to communicate (honestly to oneself or between individuals) leads to dissatisfaction. Dissatisfaction leads to desires. If unmet, desires continue to compound dissatisfaction. Yet, even if attained, these desires at best only lead to greater desire. Additionally, even if attained, one desire often doesn’t coincide with the desires of others (or conflicting desires within oneself). This failure of desires to exist in harmony (to communicate properly in other words) leads us right back to the start of the circle. The desire can never be fulfilled. 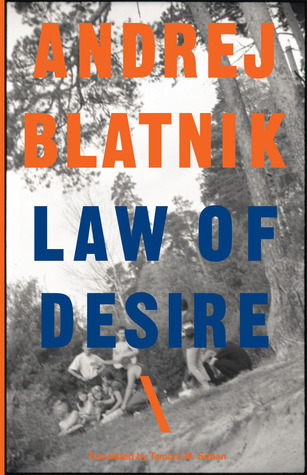 Exploration of this vicious circle seems Blatnik’s desire as writer, and he successfully achieves that goal as far as possible – though as art primarily, not always in the most ‘entertaining’ of fashions. In interviews with Blatnik he discusses the freedom that writers within formerly Communist portions of Europe now have to focus on this modern literature of every-day conflict within and between individuals rather than producing works that have some specific political or cultural role (subversive or not). Interestingly though, this shift in Slovenian (and related) literature follows the same pattern of theme that Blatnik explores in this collection. The dissatisfaction of what was possible or relevant to artistically produce under a relatively oppressive regime has led to a desire to write simpler, modern literature of people failing to communicate. Given the enormous popularity of this collection in its native language, the desire to consume this kind of work is also abundant. Within the confines of its culture and origins, Law of Desire likely resonates in the continued uncertainty of the future. Several of the stories even seem to take the characters out of time and place (out of plot) to represent something extremely relevant to the condition of its audience. For the general reader of the English translation, this poignancy may be lost, but the universality of that central dissatisfaction-desire loop make this a worthwhile literary read for those that appreciate more artistic writing. Even if not all stories connect, a few brilliant ones in this collection make it worth checking out. 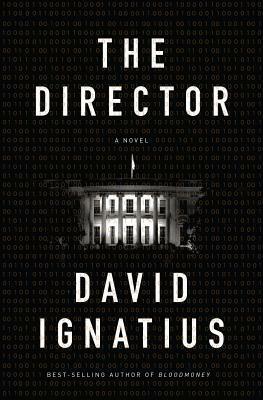 With The Director, David Ignatius sets out to update the spy novel to the present day realities of cyber-warfare, hacking, and post-Snowdon agency secrecy practices. The resulting story, full of realism and detail, is more akin to a combination of a political and techno thriller than to a spy novel. A fictionalized version of the nonfiction that Ignatius is expert in, The Director ends up being a series of information-laden meetings between characters, heavy on conveying facts or analysis and light on action. Despite the appeal and attraction of the novel’s plot and themes, this execution makes it a relatively dry read to get through, a political/spy thriller equivalent of the hard SF genre. As its title implies, The Director involves protagonist Graham Weber, the newly-minted director of the CIA who is committed to turning the agency around into something more modern and efficient. Mere days into his tenure, a hacker with unsettling information enters a US consulate in Hamburg and soon after turns up dead. As inter- and intra-agency wheels begin to slowly turn, Weber places a young techno-geek agent named Morris in Germany to investigate the hacker’s claims and murder. However, it becomes slowly clear to Weber that the goals of Morris and of other bureaucrats in Washington may not coincide with his own. On one hand the novel is about idealistic and naive Director Weber and his fight to navigate the bureaucracy of Washington DC and the influence of other players, and to ultimately overcome them for the ultimate good of the nation. It is in this way that the novel reads more like a political thriller than a spy or action novel. The term ‘thriller’ doesn’t even necessarily apply. With his appointment as Director, Weber serves as proxy to facilitate the reader’s education into theories on the origins of the CIA, its current workings, and the possible future threats it faces. Ignatius’ experience as columnist for the Washington Post with expertise on the CIA and its workings make him ideal for writing a novel like this. However, his desire to saturate the novel with detailed verisimilitude in the place of action produces something that is hard to get through with enjoyment or captivation, particularly when having the expectation of reading fiction. The Director instead comes closer to delivering the kind of content and experience I’d rather expect from nonfiction. Despite its title, the novel also spends a significant percentage of time on Morris and other agents of various nations or hacker organizations who meet with Weber or with Morris. Morris is such a key aspect to the novel that in some ways he seems like the actual protagonist who others, including Weber, are responding to. Only at the end, when things suddenly seem to unravel for Morris and Weber plays hidden cards does the novel turn fully back to Weber. Ultimately, the premise and content of The Director is fascinating, and Ignatius can craft a very realistic and complex narrative around these elements. This kind of political thriller certainly has its fans, but for me the endless dry meetings between bureaucrats or other players simply made the reading experience feel boring and uneventful.